1, Features: Imported electrical parts,high switching speed,no-spark,dedication in size. corrossion resisting,quake and explosion-proof,reliable quality,long work life. 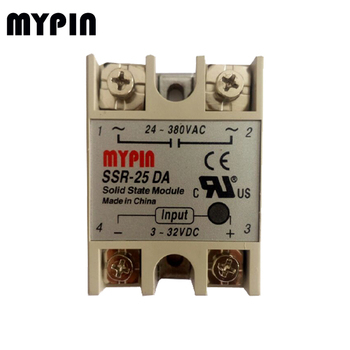 2, Sorting: Single/3-phase Solid State Relay,DC/AC Solid State Relay,medium/high-power solid state relay.Working current 25-300A. 3. Pancake, Column in various sizes for option.Special sizes or power can be customized. 4. Input: DC 3-32V,AC 80-250V. 5. Output: Voltage AC 30-480V, Current 25-300A.